“Hell’s Screen” is a brief but grim tale to rival any work of Poe. “Cogwheels” I found dull, not because I disliked its meandering nature but because I found nothing interesting in it. 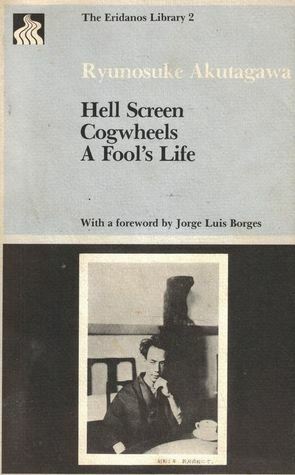 “A Fool’s Life” was intriguing in its structure, prose, and insight into spiraling mental illness and suicide. Overall, not a strong introduction to this author, but it does leave me interested in reading one of Akutagawa’s novels. Very interesting book. I particularly loved the first story, Hell Screen.